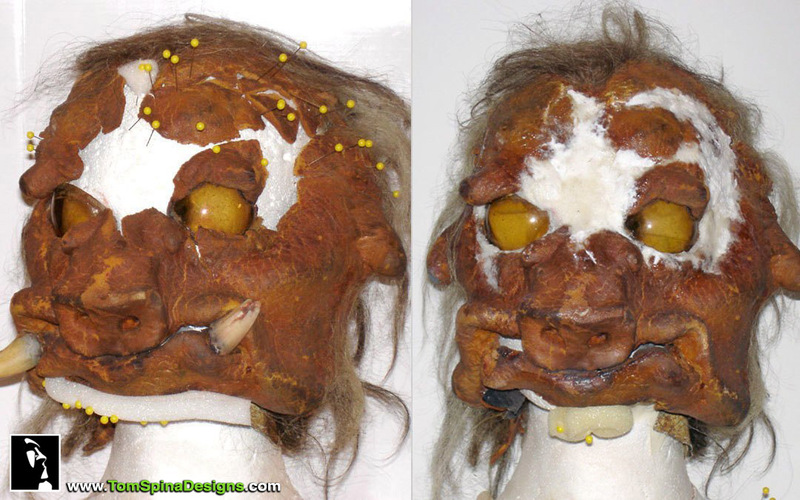 Our restoration of several original Star Wars Ugnaught masks, original movie props used in The Empire Strikes Back. 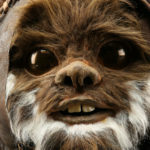 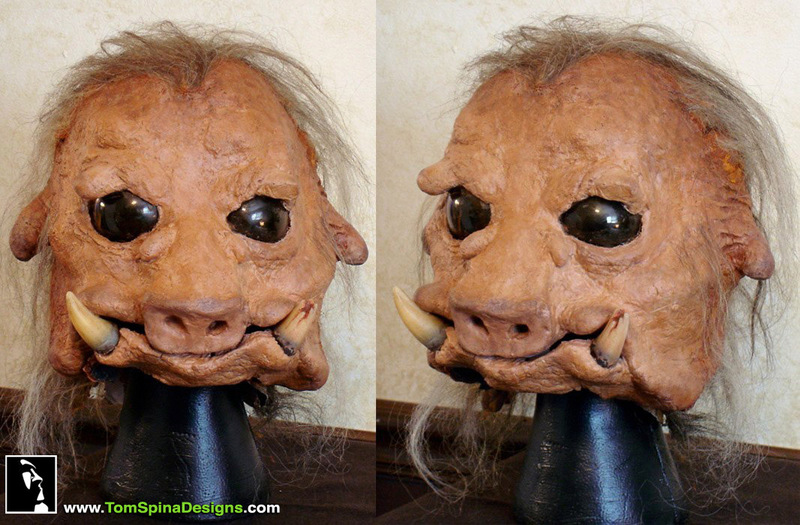 Star Wars Ugnaught Mask With Tusks: Original movie prop mask used in both the Empire Strikes Back and Return of the Jedi – in need desperate need of care. 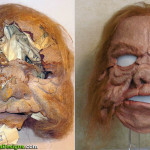 We were able to reshape the head and then salvage pieces and patch the missing areas. 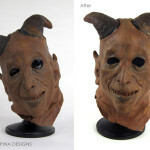 The restored piece, was carefully revived and partially repainted to a subtle mix of 1982 & 2005. 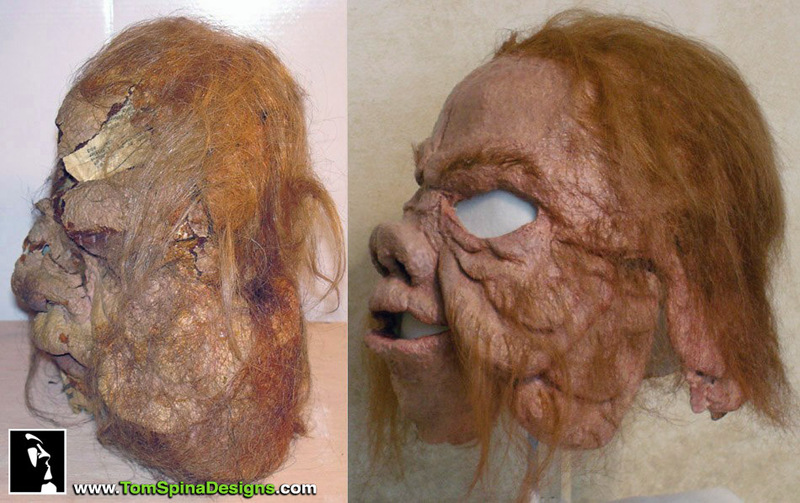 The mask was mounted on a customized head form to support the foam latex over time. 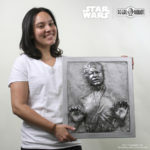 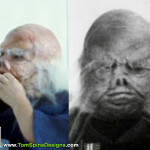 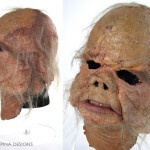 White Haired Star Wars Ugnaught Mask: A screen used movie mask from the Empire Strikes Back. 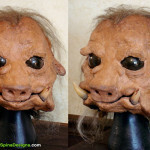 The bridge of the nose had torn, and several large areas were missing. 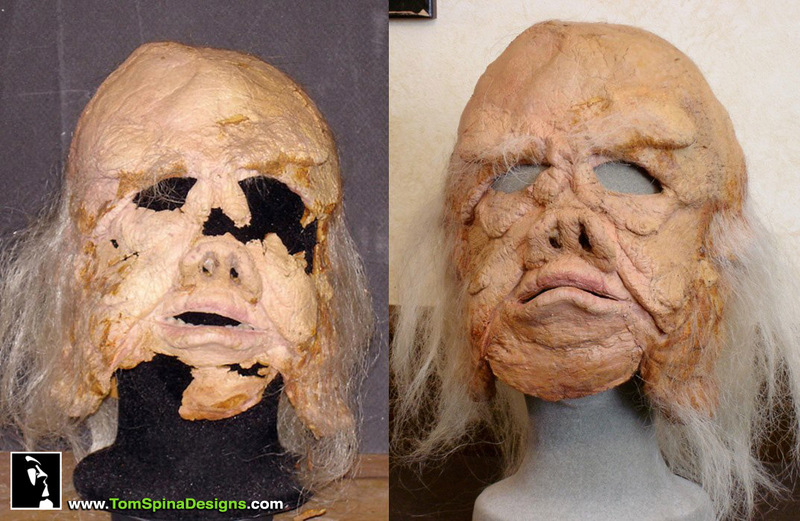 We used vintage on-set photos as reference for the restoration and preservation work. 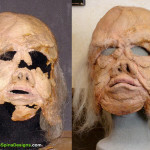 Missing areas have been recreated and painstakingly color matched to the aged coloring of the mask. 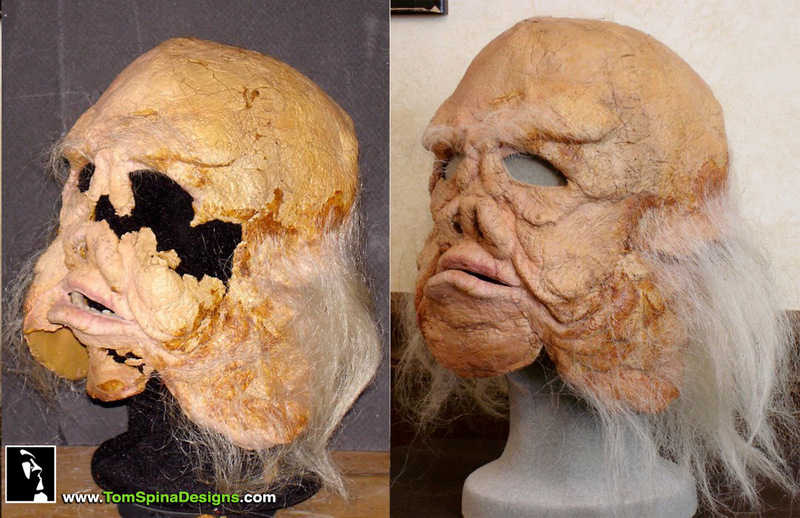 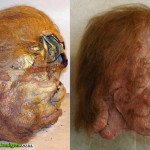 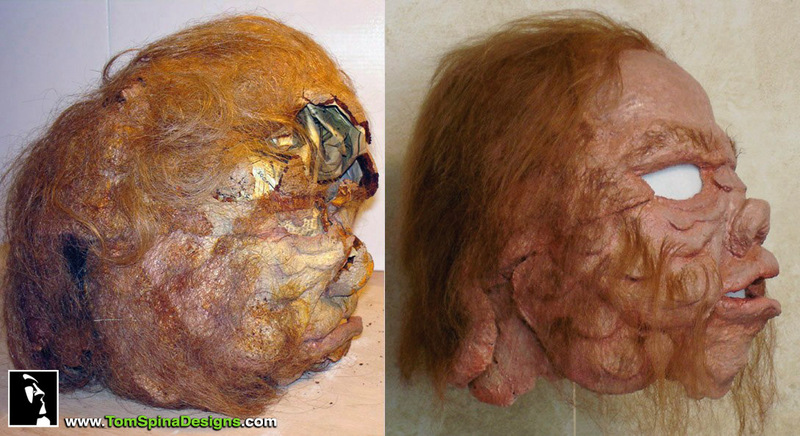 The prop was mounted on a customized head form to support the foam latex mask over time. 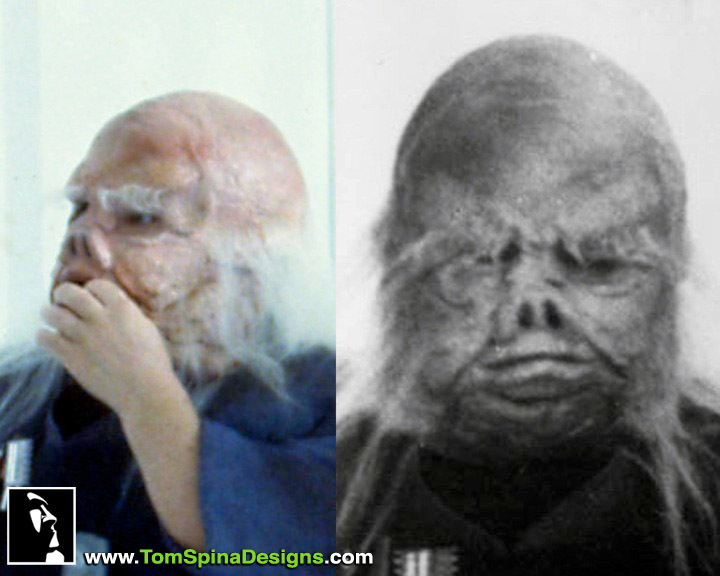 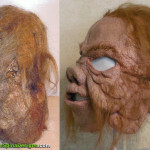 Brown Haired Star Wars Ugnaught Mask: Another Star Wars ugnaught used in The Empire Strikes Back, before and after a dramatic restoration. 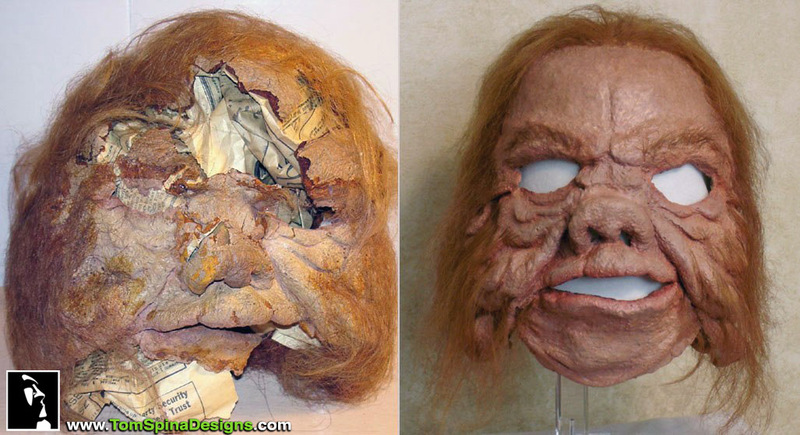 This prop mask was in very poor condition when it arrived, it was very dry and discolored, with chunks rotted away or crumbling from poor storage. 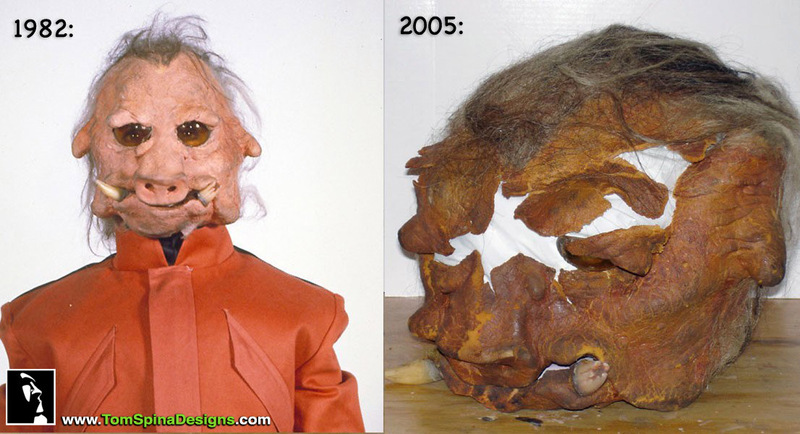 Restoration was extensive, but we kept as much of the original foam latex as intact as possible. 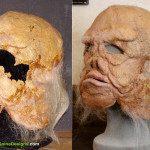 Have a TV or movie prop that is in need of restoration or display?